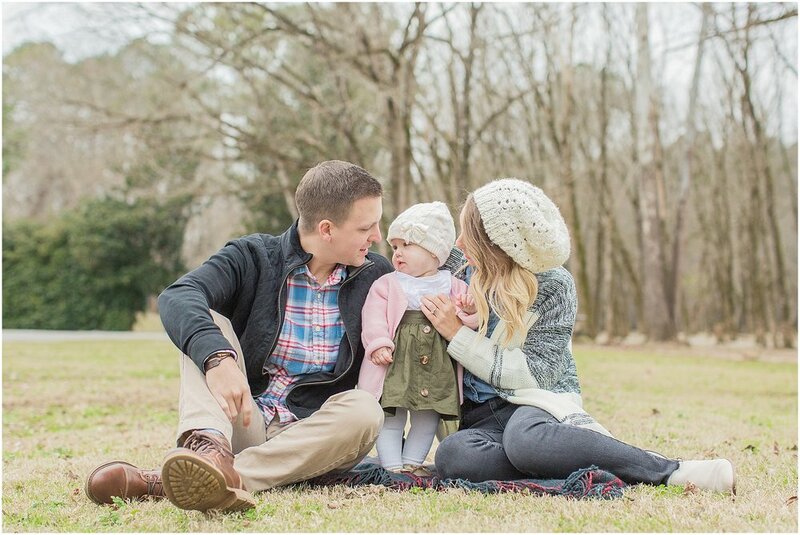 This isn’t the first time you’ve seen this precious family on my blog!! Anja & Will are such dear friends of ours, & I’ve had the honor of capturing so many amazing moments in the life of their family. I actually photographed Will’s proposal to Anja several years ago & held back the tears behind my camera (& got to be Anja’s Maid of Honor in their wedding, cue the tears again). Then several years later when they told us they were pregnant, I couldn't have been more excited, & I got to photograph their maternity session, Adeline’s newborn photos, & now her One Year session! Time as FLOWN, & I couldn’t love this little family any more than I do!! Adeline is the cutest baby girl & it was seriously such an honor to get to capture another special time for their family. It was seriously 40 degrees when we took these photos, & Adeline did not cry ONCE!! She’s such a happy baby, & it definitely helped that her parents had the best attitudes & made the session so fun for her (and for me haha!) There may have been a little singing & dancing to “Can’t Stop the Feeling” happening behind the camera to get her to smile, & Adeline joined in on the dancing which was SO adorable! 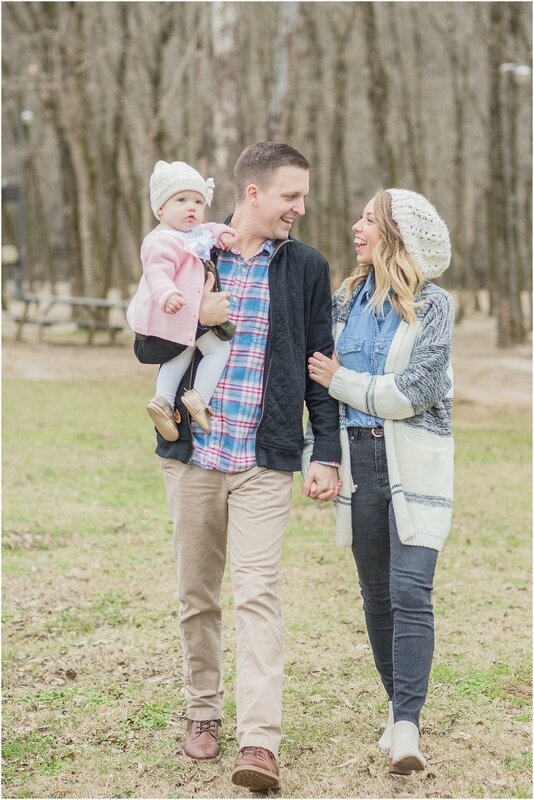 It’s been one of the greatest joys of my career to not only get to watch my friends become parents but get to capture the JOY they have in raising their little ones! God is so faithful, & I cannot wait to see what He has in store for sweet Adeline’s life!! Baxter Family — you know how much we love you & are so thankful for all 3 of you!! !